It’s been seven years since one of the best singers and authors from the beginning of the 20th century left us. If you belong to those who believe in the myth of the unfortunate artist, then you would undoubtedly agree that Amy is one of them. Both of her albums that were released during her lifetime were created in the moments of her emotional breakdown. The entire pathos and sorrow she turned into unforgettable lyrics and everlasting songs, using the artistic process as a path of healing and catharsis. 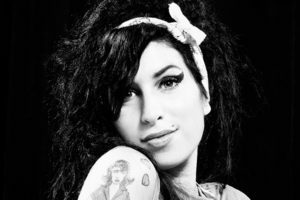 The tiny diva with her tapered hair and striking eyeliner, with a voice that has touched many hearts, lived a life of a true rock’n’roll star. Many times did she try to walk away from the bewitched circle of mixed emotions, depression and weakness under the ”protection” of showbiz, bumping into the ones that ”should be stronger” than her. 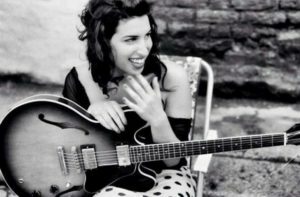 In that kind of a whirlpool, Amy, as much as she could, turned to safety of her guardian angels – her jazz role models, looking for shelter in their music. Amy performs at London’s Music of Black Origin Awards in 2007. ”When she died, on Saturday 23rd July 2011, the pop world lost an icon. The jazz world had already lost a great jazz singer several years earlier”, said Bill Ashton, the founder of Britain’s National Youth Jazz Orchestra. It is here that Amy Winehouse made her first musical steps, so we presume that Ashton wanted to draw a parallel to her distance from jazz sound on her second album Back to black. 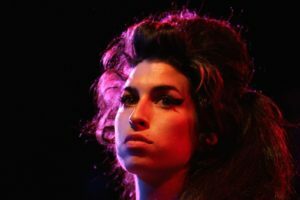 Although Amy’s style is made from a fusion of genres, jazz has always been her starting point, and, having in mind that a year or two before her death she wanted to come back to the sound from the beginning of her career and to make a jazz album, we can say that her life started and ended with jazz. Her affection to jazz was not surprising, taking into account that her numerous close and distant relatives were jazz musicians; thanks to her father Mich, who continuously sang jazz melodies to her and her brother (he released his first pop/jazz album Rush of Love when he was 60. ), she has always been listening to it and absorbing it. Her brother, with whom she often listened to different performers and discovered new genres, has also had an important role in her music development. She got her first guitar, which inspired her to write songs, when she was 13, and at 14 it became crystal clear that she wanted to be a musician. She fantasized about writing her own music and singing in small jazz clubs. When she was 20, her first album was released: Frank. Frank as Frank Sinatra, one of her favorite singers. Frank as in honest and free, just like she was. With this album, which is mostly inspired by jazz with the touch of r’n’b and funk, the world got to know her luxuriant and mature voice. Amy’s unique vocal was compared by many to Erykah Badu and Dina Washington. Salaam Remi, her producer and one of the closest associates, said that at that time she had already sounded like 65 year old jazz singer. Even at that young age, when she was 20, she had a clear attitude towards music. 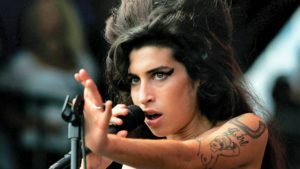 She didn’t long for fame a bit (in documentary ”Amy” she even said that she would probably go mad if that happens), the only thing she wanted was to write the kind of music she wants to. Leaning towards the taste of audience and mainstream was never in her interest, she even thought that modern songs featured in pop music top charts were ‘diluted’ and a bit dumb. She thought that the lyrics have to be autobiographical, because otherwise she couldn’t send the true message to the audience. Therefore her lines had a lot of ”blues” in them, along with short, witty punchlines which removed any hints of patheticness. Brutal, but kind, as she put it in You sent me flying (”his message was brutal, but the delivery was kind”). Then comes Back to black which had catapulted her to the very top of the worldwide popularity. The change of the image and the more commercial songs marked a new phase in her career. The music of the 60’s, gospel, soul and r’n’b had influenced her turning her towards a different sound. The lyrics she wrote for her second album were richer, more sharp and serious. Many thought that this was the final step out of jazz. However, I think that it was her natural development as an artist. All of those who were already fascinated by Frank, were transformed into her eternal fans by Back to black. These fans were celebrating, together with Amy, when the album got five Grammy awards! 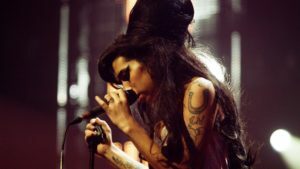 After a period of global fame and numerous tours (some shows can be written in musical history of best live performances, and some not quite), Amy wanted to go back to the studio. She dreamed of going back to jazz and performing in smaller, more intimate clubs. She wrote some songs, and even recorded some of them (even before Frank), unfortunately, she didn’t bring the entire album to the end. Lioness: Hidden treasures was released after her death by her closest associates – Salaam Remi and Mark Ronson, which had chosen the songs for this album together with her parents. With a strange feeling in our stomachs, having in mind the circumstances of this release, we could hear the well known intense voice again (Our day will come, Will you still love me tomorrow, The Girl From Ipanema, A song for you are some of the covers). The last song Amy recorded was the cover of one of her favorite jazz standards Body and soul. She sang it in a duet with her great role model Tony Bennet who, enchanted with the fullness and authenticity of her voice, said that she was the most natural jazz singer ever and that her talent stands besides Billy Holiday, Dina Washington and Ella Fitzgerald. Like the title says, that is how Amy walked through life: with all of her body and soul, giving herself passionately and to its fullest to everything she did. That goes for music she created, lyrics she wrote and love she lived.